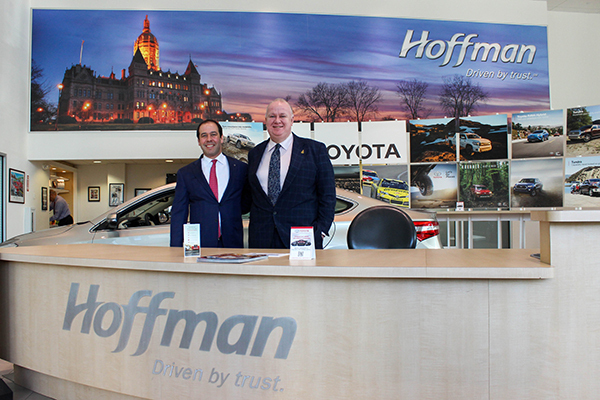 Hoffman Auto is a multigenerational family-owned business, a valuable community partner, the epitome of an American company trying to do right by its customers and its employees. 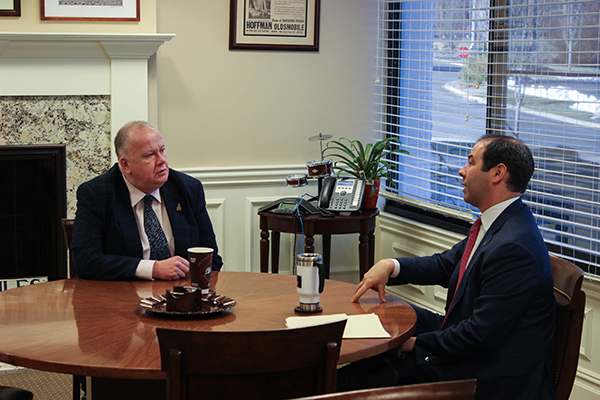 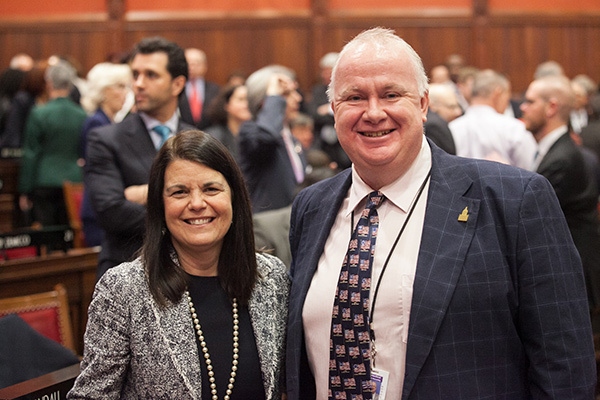 As a policy maker, I stand with Hoffman and the entire Connecticut business community and I am committed to raising them up & helping them grow and thrive. 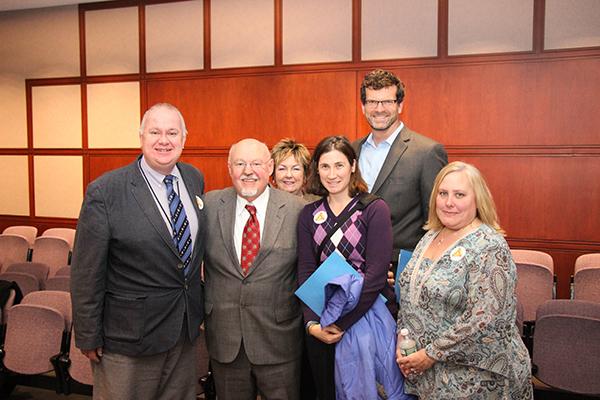 Rep. Hampton was delighted to participate in the 2015 Job Shadow Day, sponsored by the Simsbury Chamber of Commerce Education Committee and The Master's School. 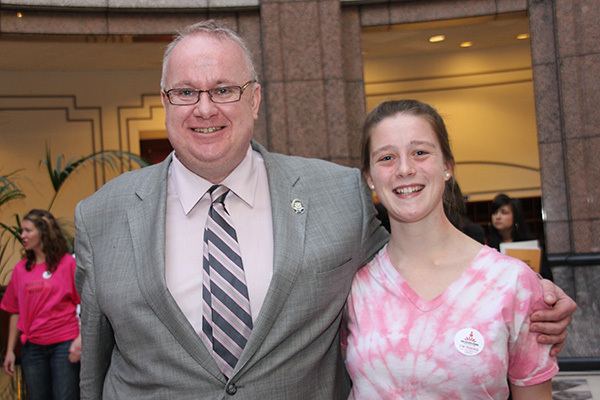 He was happy to welcome future leaders Brianna Hunter & Peter Myers to the State Capitol to provide them an overview of state government. 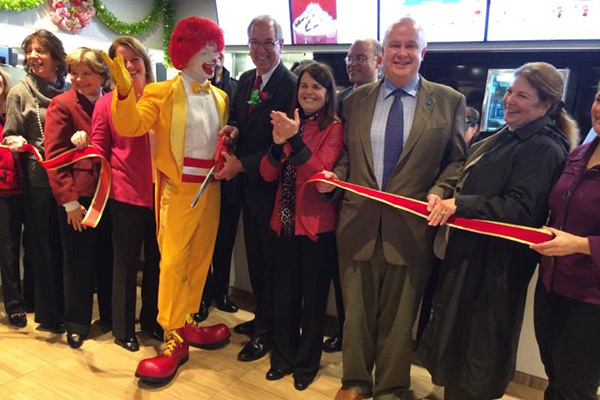 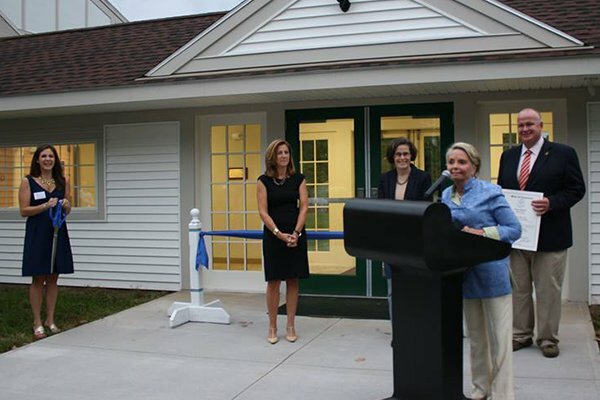 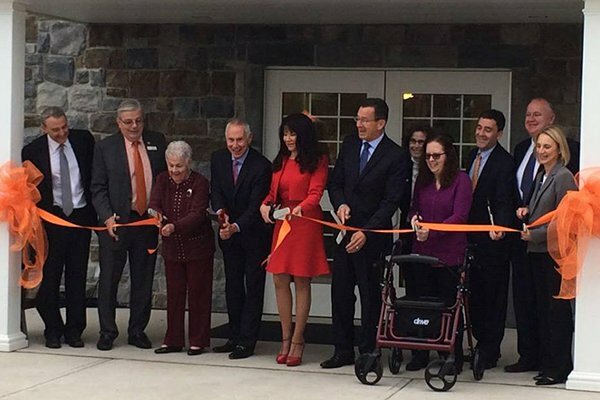 Rep. Hampton helps cut the ribbon at the grand opening of Simsbury's new Visitors Center. 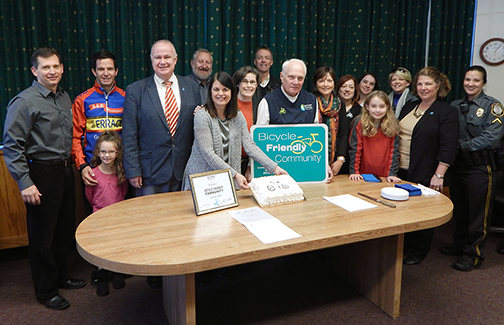 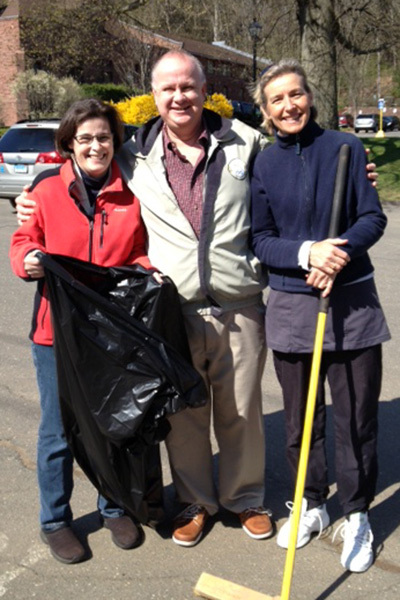 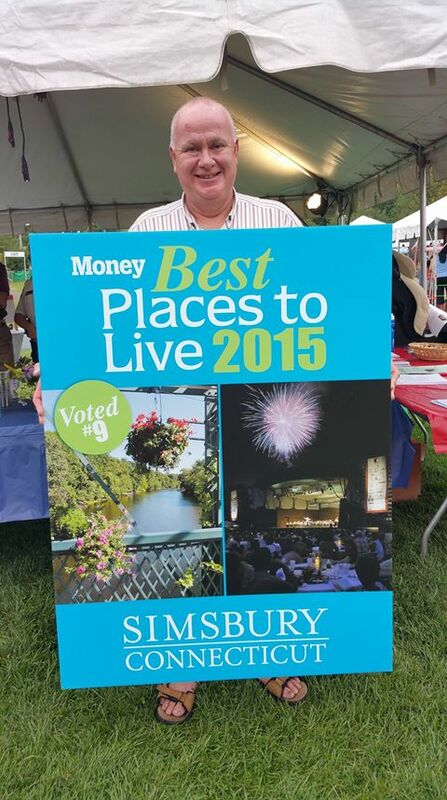 Rep. Hampton celebrating the designation of Simsbury as #9 on the list of Best Places to Live in 2015 by Money Magazine. 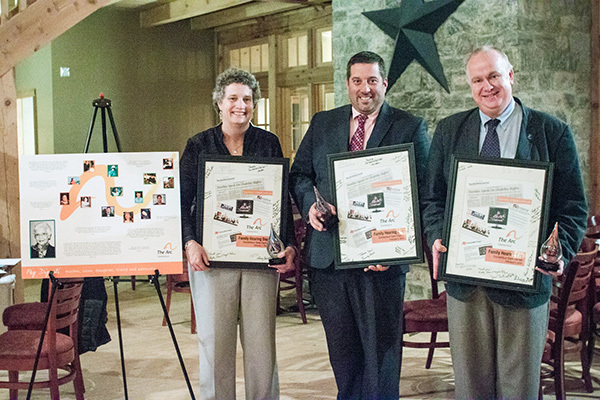 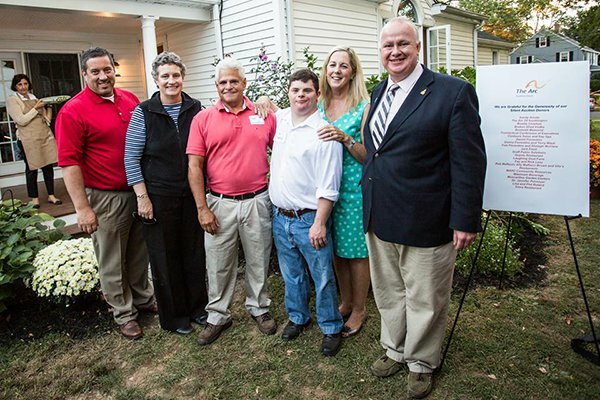 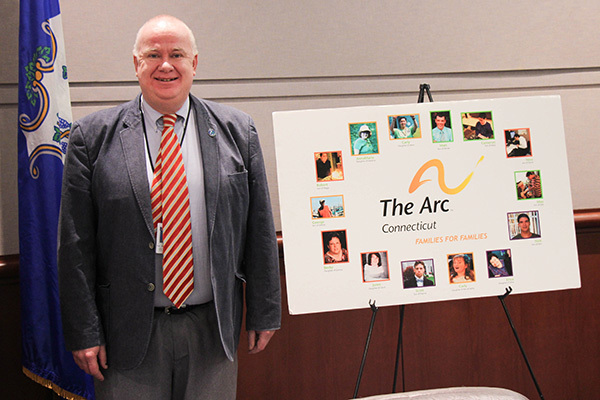 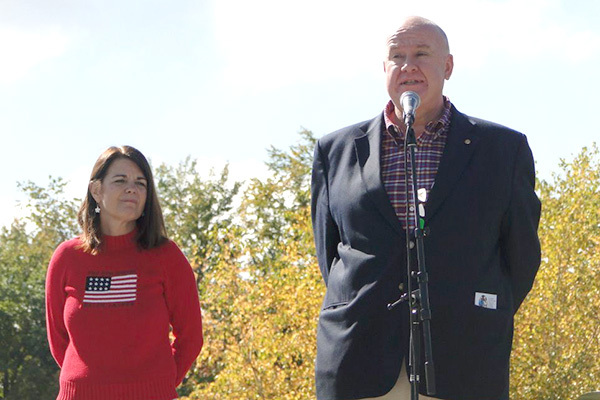 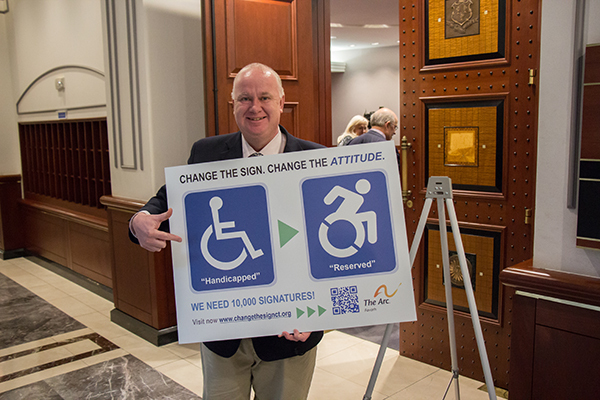 I/DD Caucus leaders Rep. John Hampton, Senator Beth Bye & Representative Jay Case joined close to 100 families and supporters of The Arc Connecticut at a special fundraiser for the organization on September 27th. 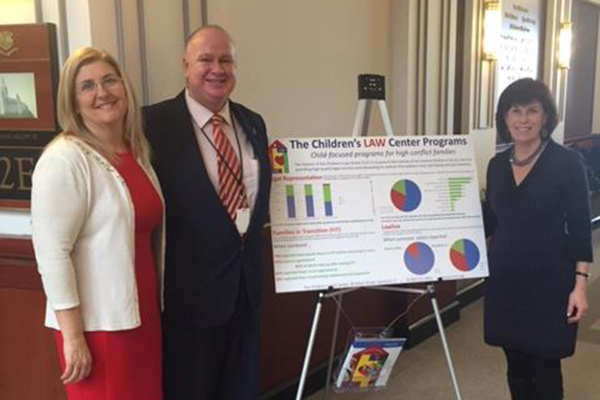 This wonderful event was hosted by Families for Families leaders Shelagh McClure & Tom Fiorentino, pictured here with their son Dan. 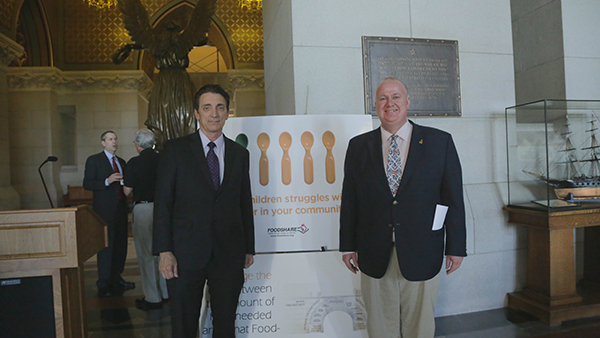 Welcoming James Arena-DeRosa, Foodshare’s new President & CEO, to the State Capitol, Sept 2015 Foodshare serves the greater Hartford region, including Simsbury. 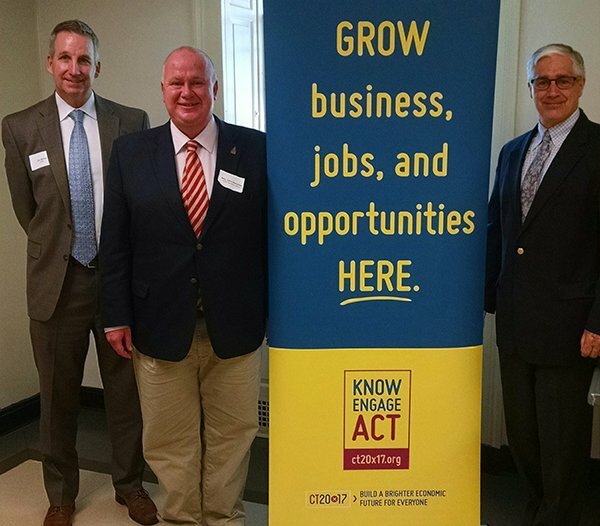 Rep. Hampton joins the Simsbury Chamber of Commerce and Connecticut Business & Industry Association (CBIA) at their 2015 Legislative Wrap-Up & Breakfast Meeting on September 15th. 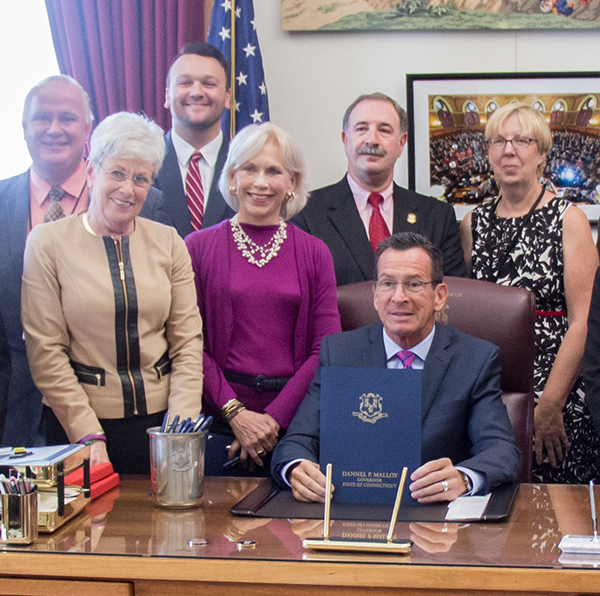 Bill signing with Governor Malloy of important energy and children health screening legislation, July 2015. 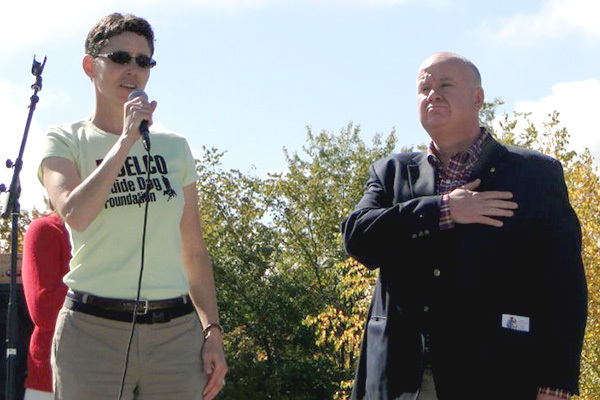 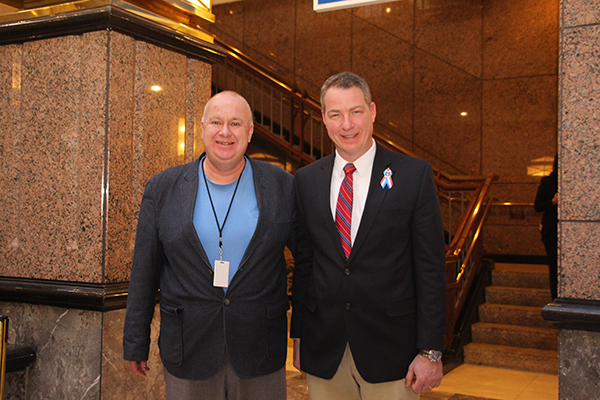 Standing Up in Support of the Fight Against Parkinson's Disease, April 2015. 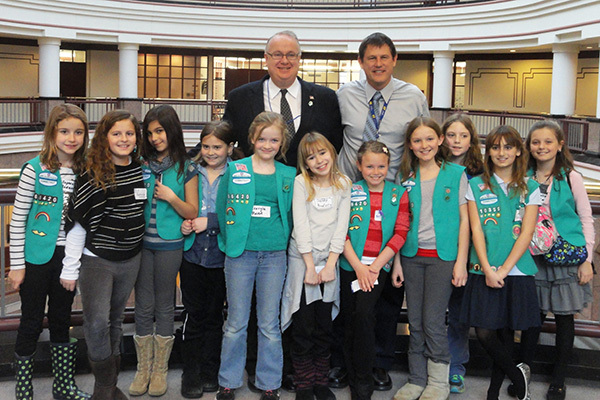 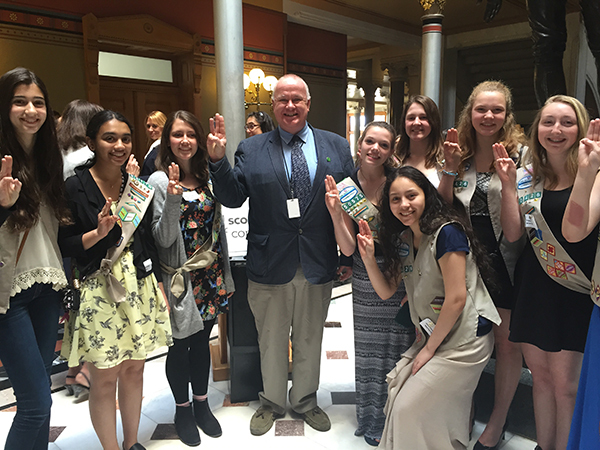 Celebrating Girl Scouts Day at the State Capitol, April 2015. 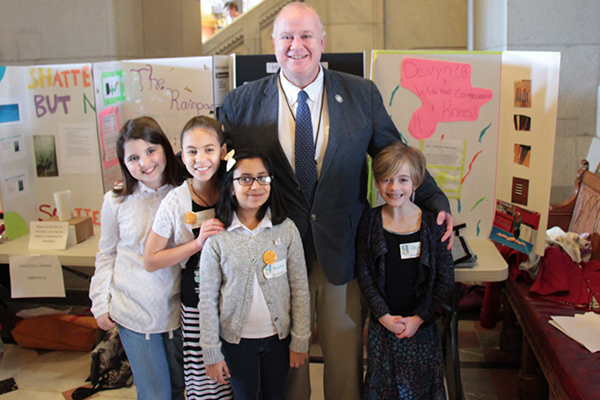 Participating in Invention Convention Day at the Capitol with Creative Students from Tariffville Elementary School in Simsbury, April 2015. 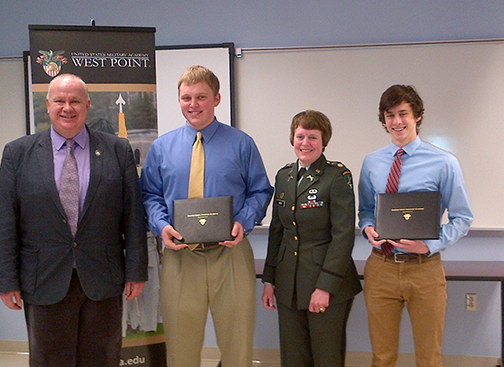 Rep. Hampton congratulates Tommy Durst & Andrew Finken of Simsbury on being appointed to West Point, the United States Military Academy, March 2015. 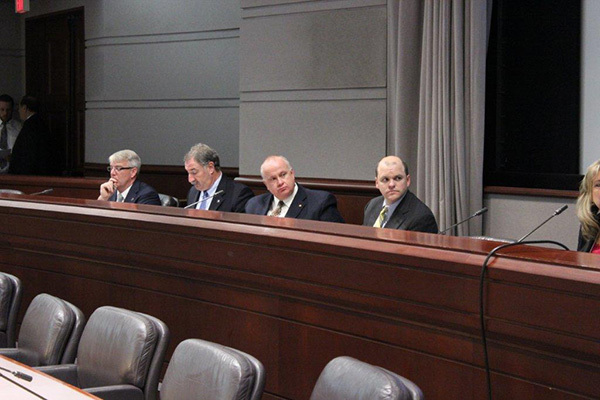 Meeting with CABE members, March 2015. 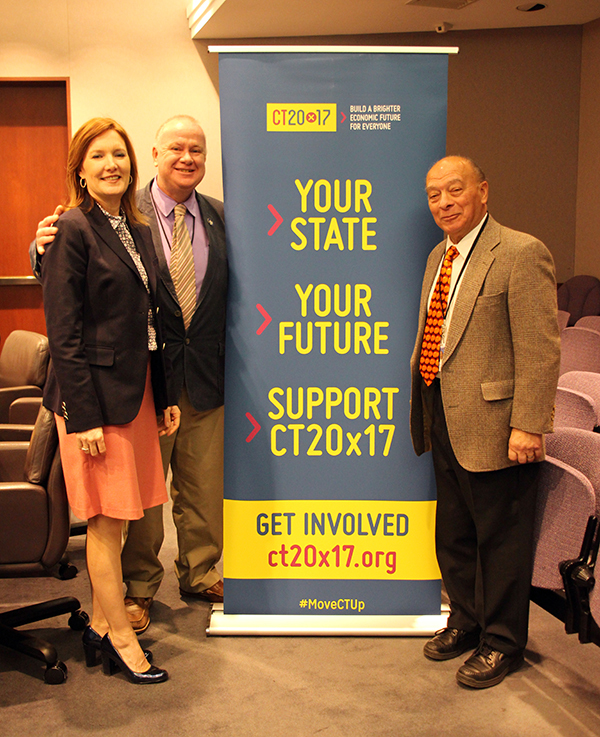 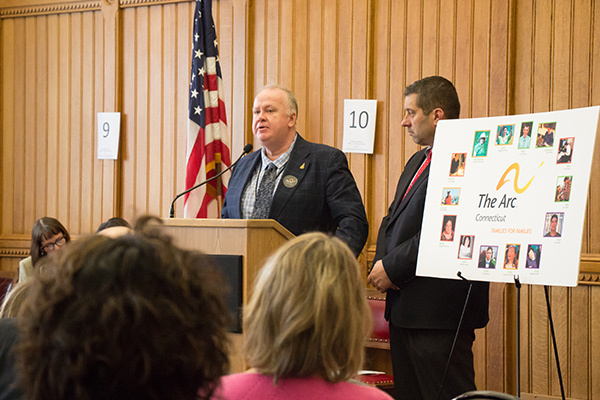 Celebrating Connecticut Business and Industry day at the Capitol, March 2015. 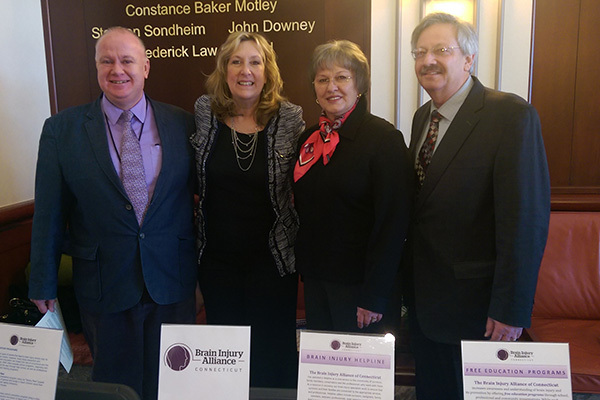 21st Annual Brain Injury Alliance of Connecticut (BIAC) Legislative Reception at the State Capitol, March 2015. 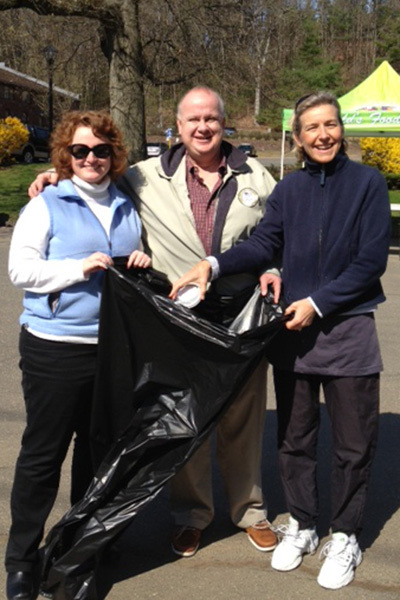 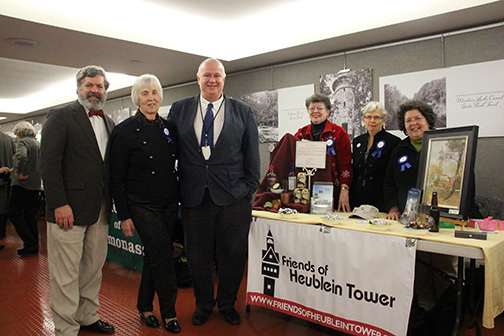 Celebrating State Parks Day at the Capitol with Friends of Heublein Tower from Simsbury, March 2015. 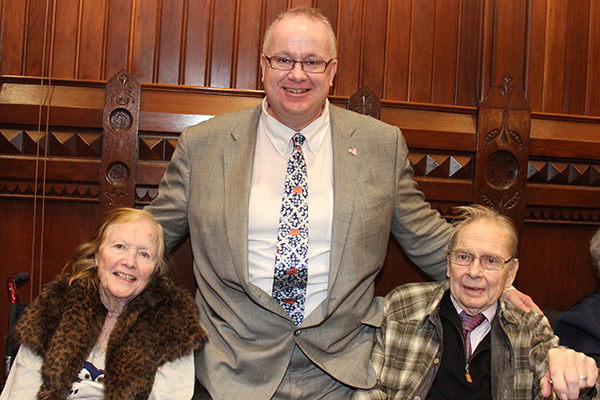 The 5th Annual event was a beautiful and fitting tribute to MLK, celebrating his life, legacy and deep connection to Simsbury. 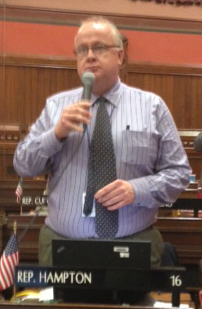 Jan 2015. 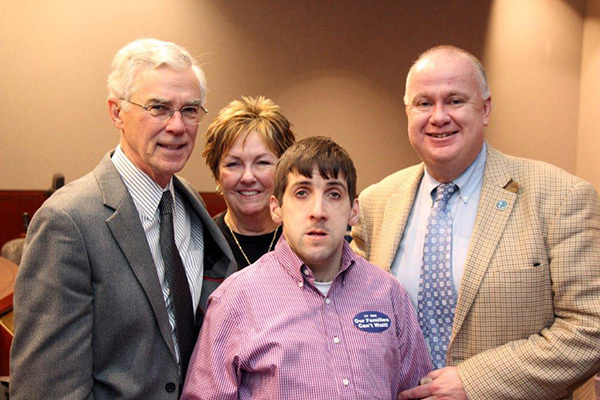 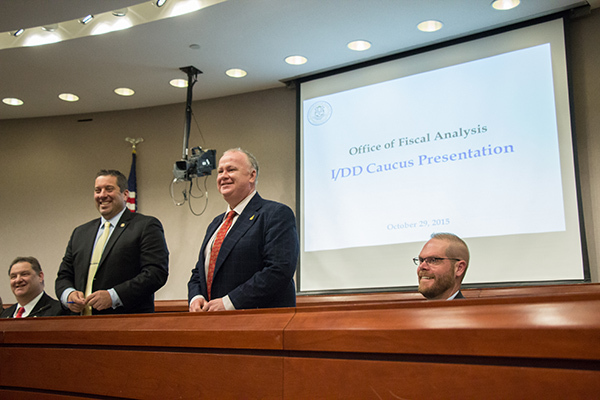 Rep. Hampton Leading the Meeting of the Individuals with Developmental Disabilities Caucus, January, 2015. 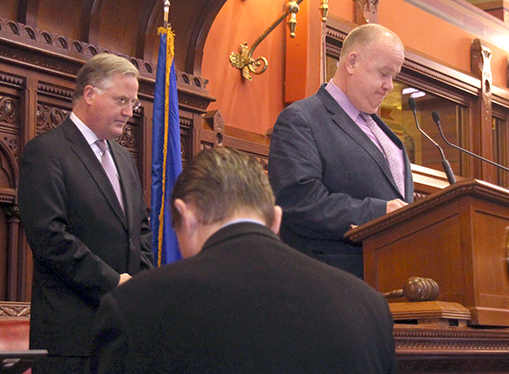 Rep. Hampton Takes the Oath of Office for His Second Term at the Capitol. 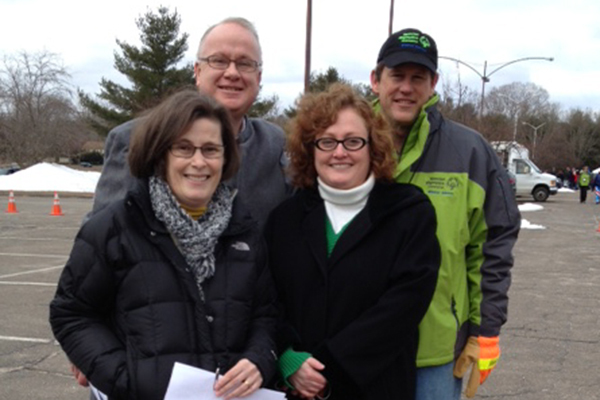 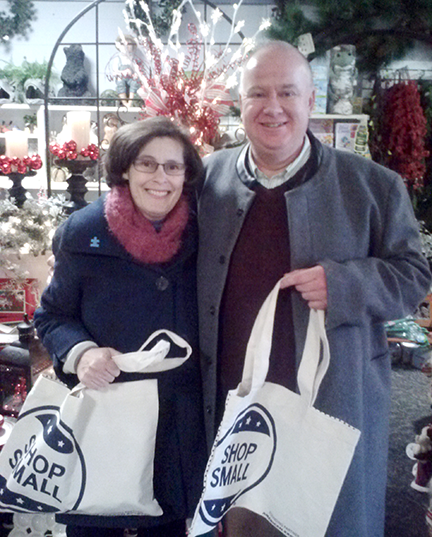 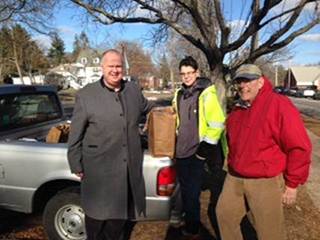 Rep. Hampton and longtime community volunteer J. Paul Lanza host the Simsbury Holiday Food Drive, December 2014. 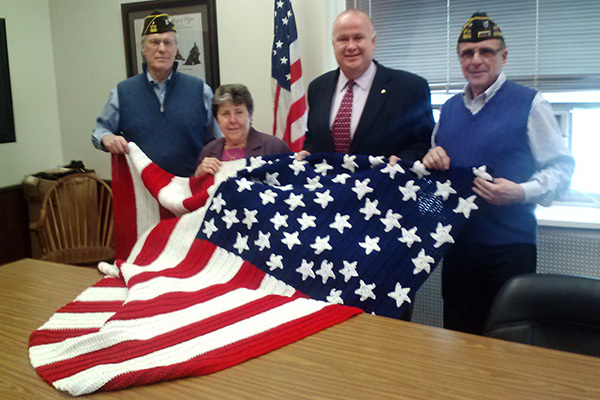 Visiting the Commissioner of Veterans' Affairs in Rocky Hill along with some of the Simsbury volunteers that helped me organize the 2013 Town of Simsbury Holiday Collection Drive for the Veterans' Home. 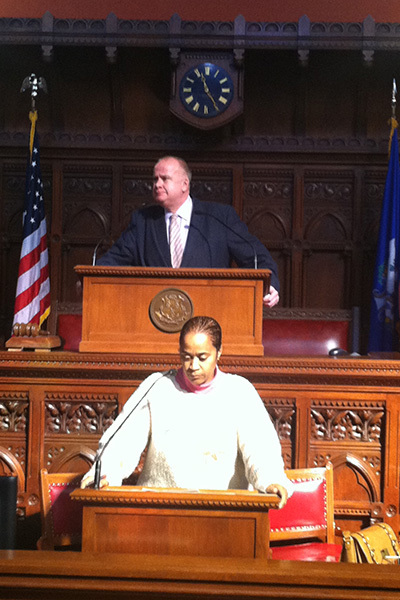 Rep. Hampton on the dais in the House Chamber presiding over a "tech" session, February 2014. 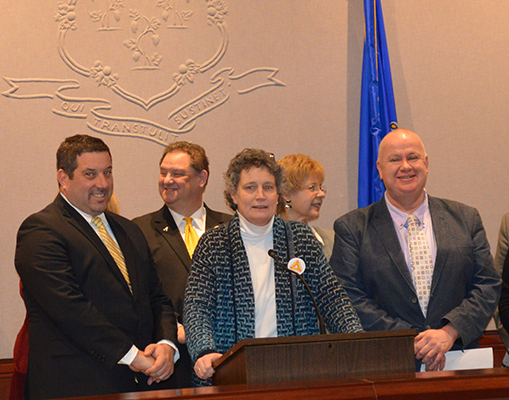 Rep. Hampton is joined by Governor Malloy, Lt. 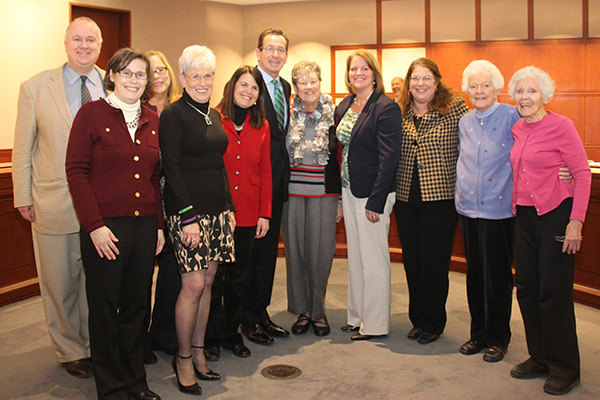 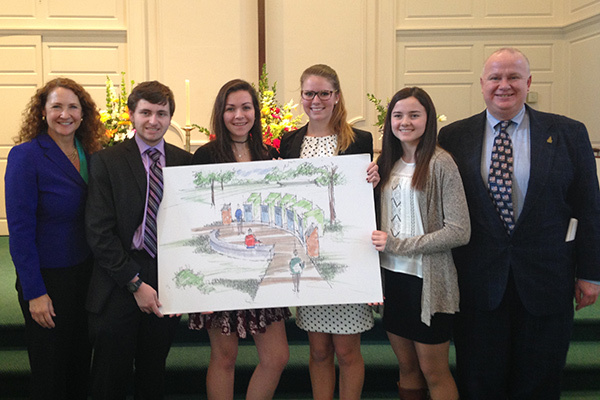 Governor Wyman and supporters from Simsbury following approval of funding for the Simsbury Senior Center. 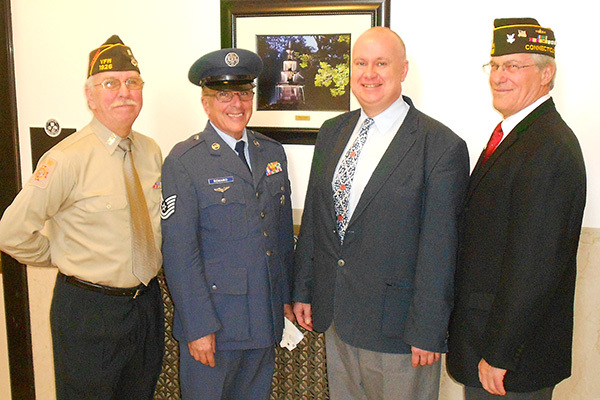 Rep. Hampton joins leaders of the American Legion and VFW at Simsbury's Veterans Day Ceremony at Eno Memorial Hall. 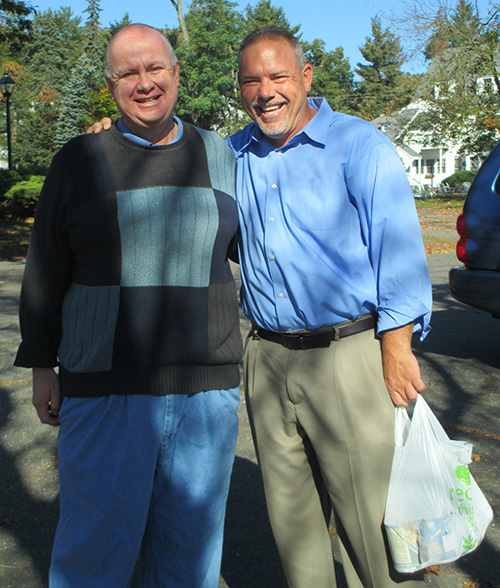 Rep. Hampton hosts Fall Harvest Food Drive, collecting food items for the Simsbury Food Pantry. 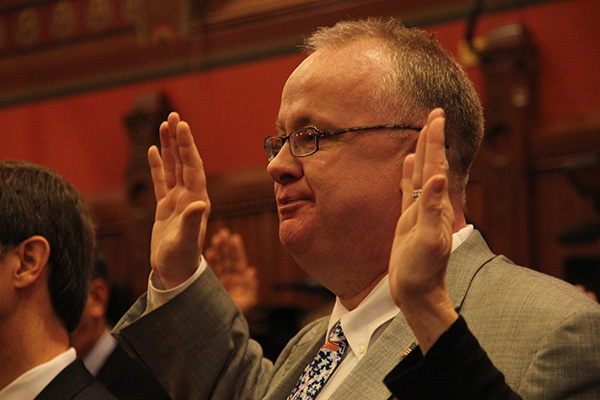 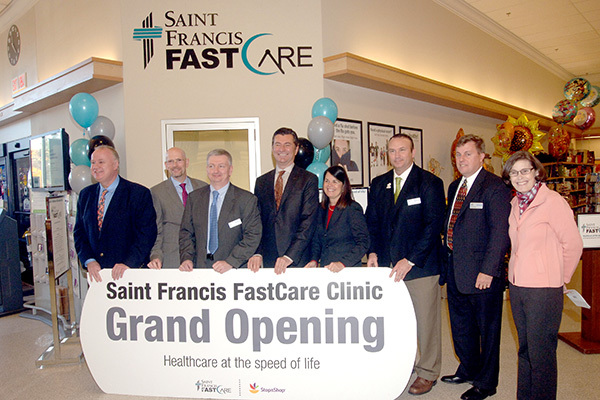 Joining him was Majority Leader Joe Aresimowicz. 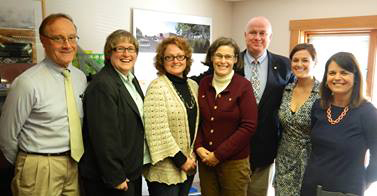 Rep. Hampton made a stop at LADA, P.C., landscape architects/planners in Simsbury on a small business tour, listening to concerns and issues faced by small businesses. 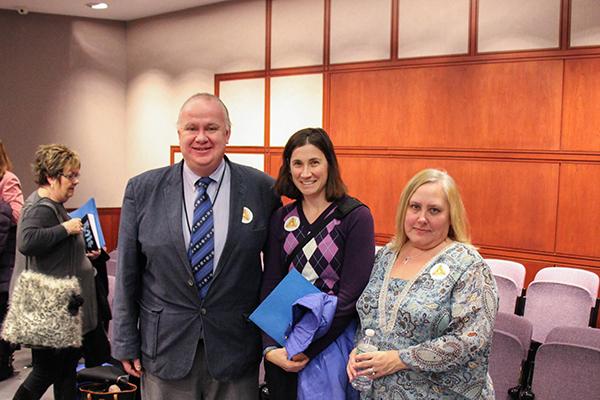 Joining him was First Selectman Mary Glassman, Deputy First Selectman Lisa Heavner, and Selectman Shannon Knall, pictured here with LADA Principals Terri-Ann Hahn and Philip Doyle. 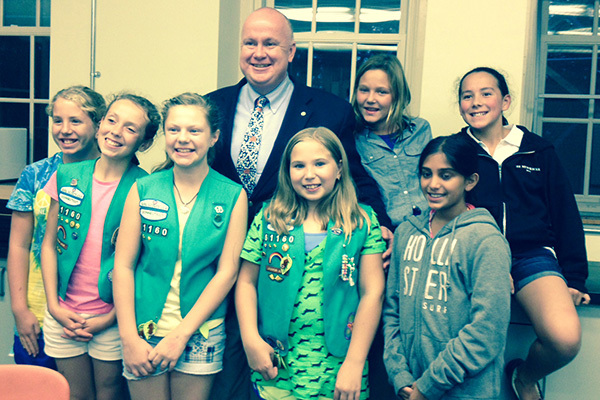 Rep. Hampton meets with Simsbury Girls Scouts to discuss their initiative to ban the use of Styrofoam in schools. 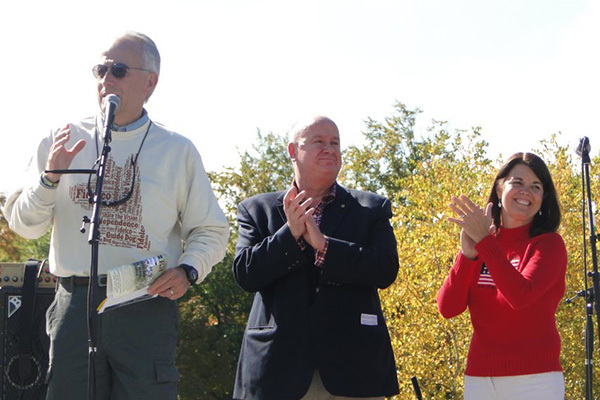 Fidelco is dedicated to promoting increased independence to men and women who are blind by providing them with the highest quality guide dogs. 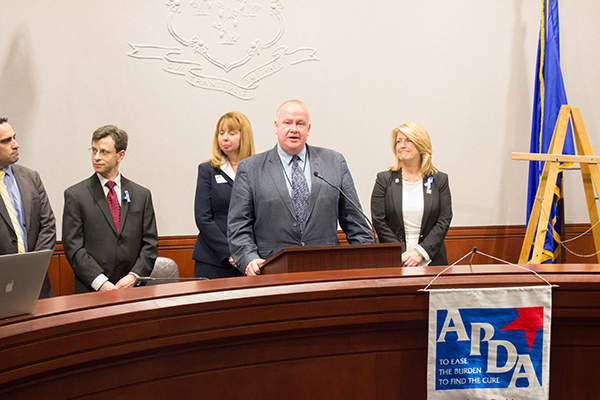 Rep. Hampton hosts community forum to discuss proposed changes to ABI Waiver, sponsored by the Brain Injury Alliance of Connecticut. 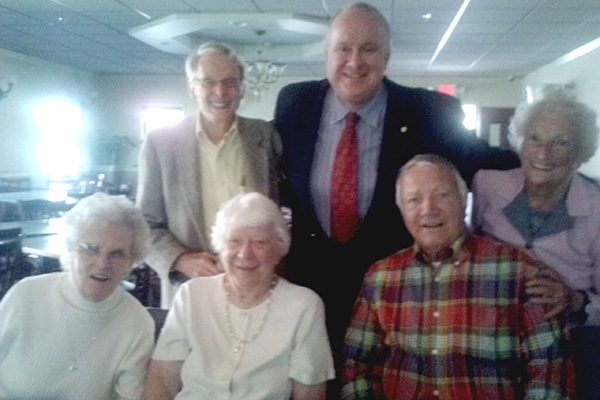 Rep. Hampton honors members of Simsbury High School's Class of 1943 at their 70th reunion. 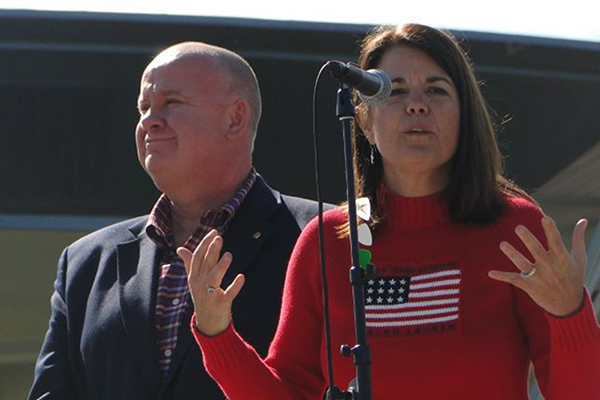 Rep. Hampton joins U.S. 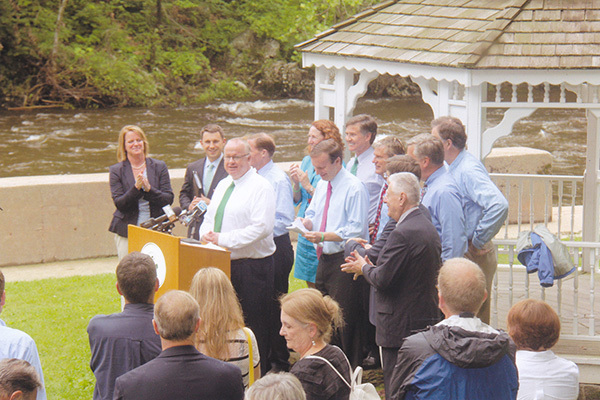 Senators Blumenthal and Murphy, Congresswoman Esty, CT DEEP Commissioner Esty and other state and local officials in supporting efforts to pass federal legislation to have the lower Farmington River Valley and parts of Salmon Brook receive a U.S. National Park Service Wild and Scenic River designation. 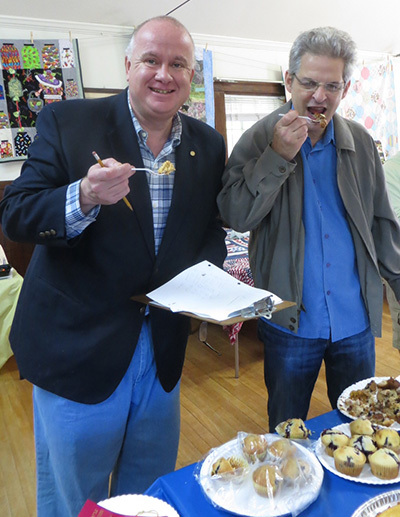 Rep. Hampton judging baked goods at the Simsbury Grange Agricultural Fair. 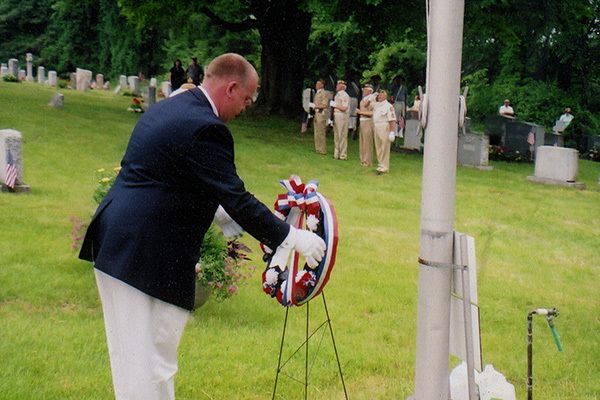 Rep. Hampton lays wreath at veterans memorial at St. Bernard's Cemetery on Memorial Day. 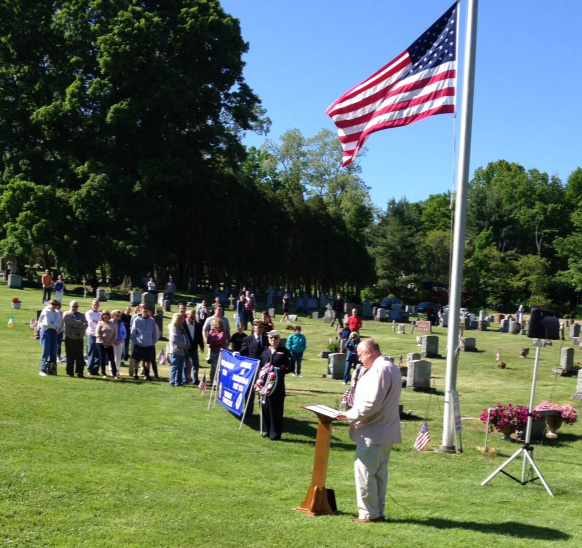 Rep. Hampton gives keynote address in St. Bernard's Cemetery following the Tariffville Memorial Day Parade. 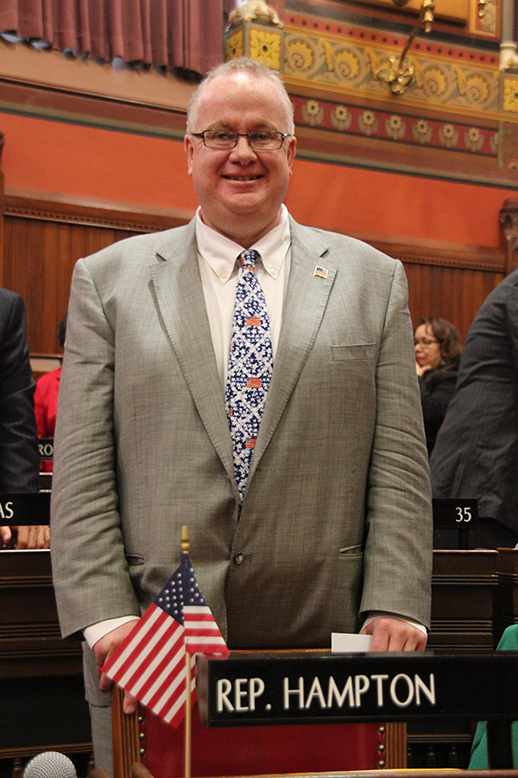 Rep. Hampton bringing out his first bill on the House floor. 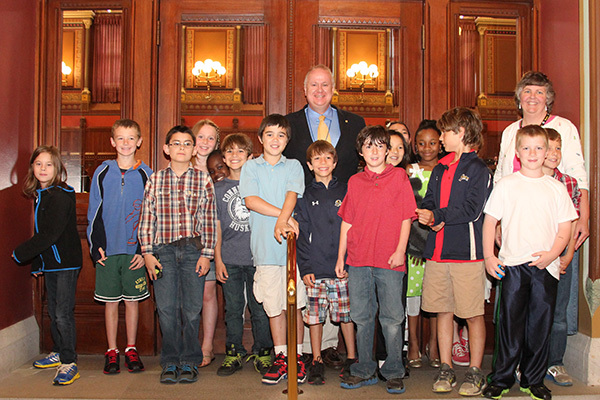 Rep. Hampton welcomes 4th graders from Central School to the Capitol. 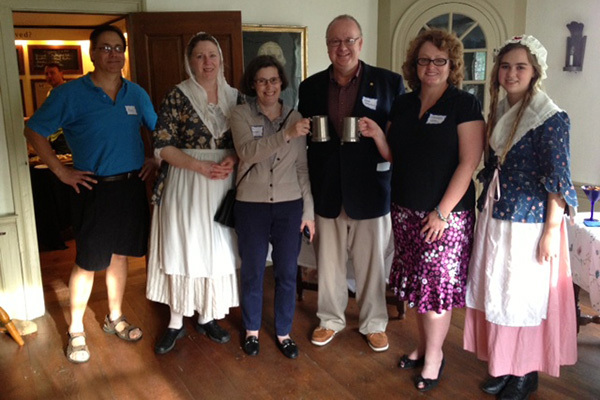 Rep. Hampton joins Deputy First Selectman Lisa Heavner and Selectman Shannon Knall at a wonderful celebration hosted by the Simsbury Historical Society marking the occasion. 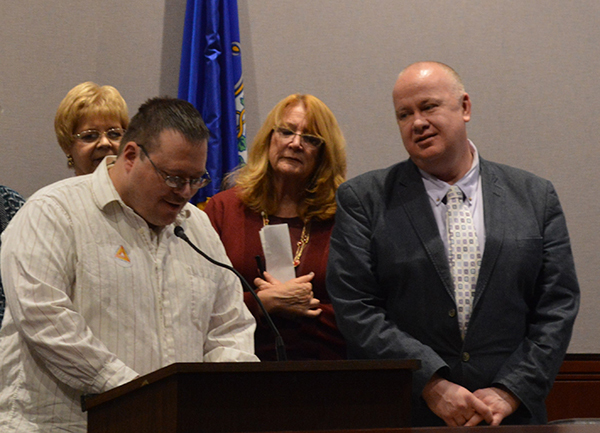 Rep. Hampton joins state and local officials in marking the 2nd anniversary of the Red Stone Pub. 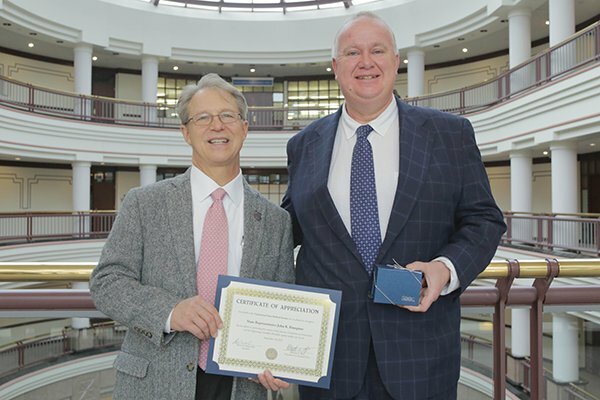 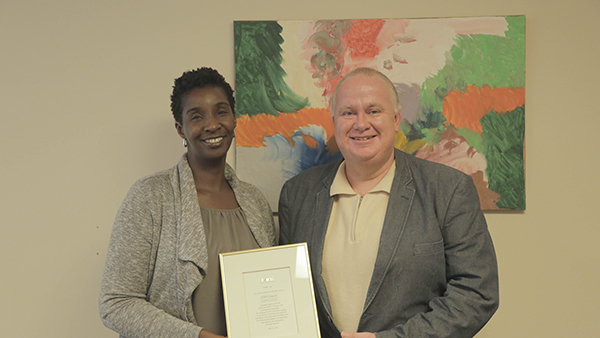 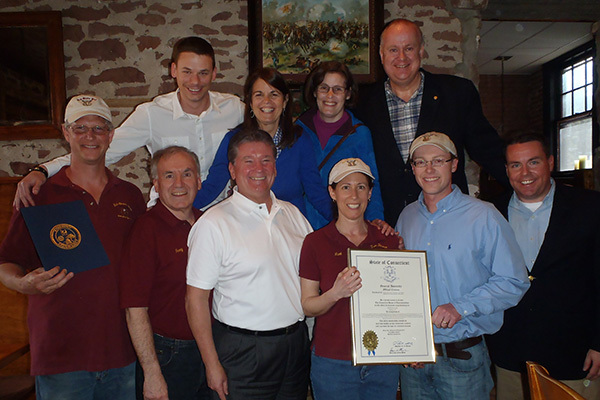 Rep. Hampton presented a citation from the Connecticut General Assembly to the owners and staff congratulating them on their successful business venture. 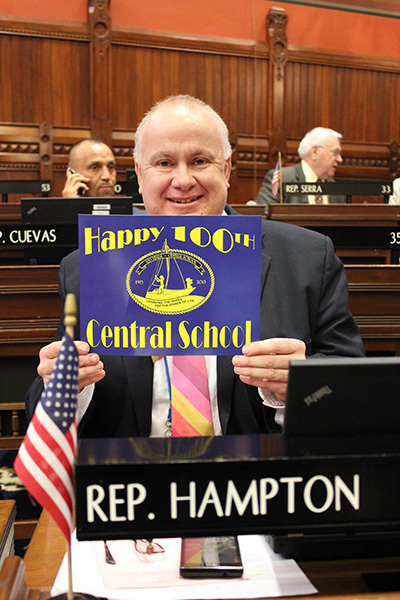 Rep. Hampton wishes Central School a happy 100th birthday from the floor of the CT House of Representatives. 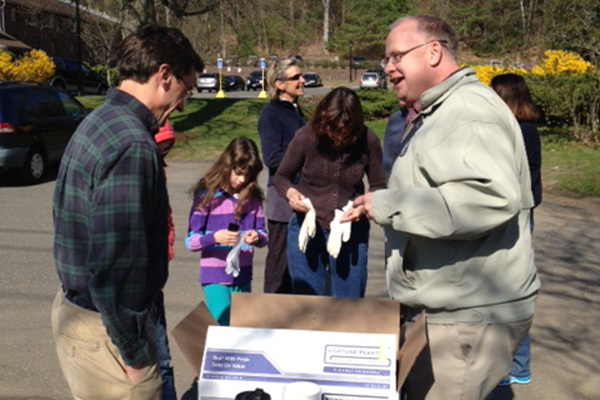 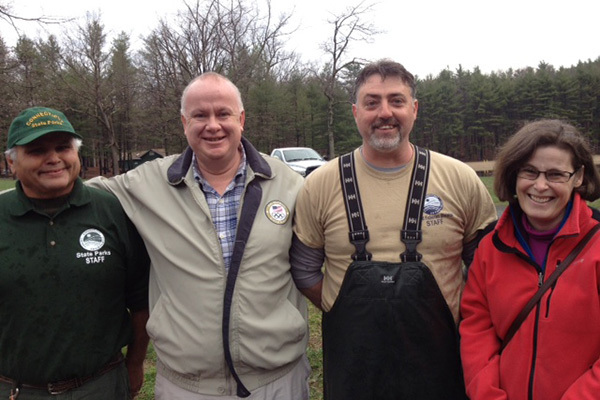 Rep. Hampton joins Deputy First Selectman Lisa Heavner and DEEP staff in stocking trout at Stratton Brook State Park on opening day of the fishing season. 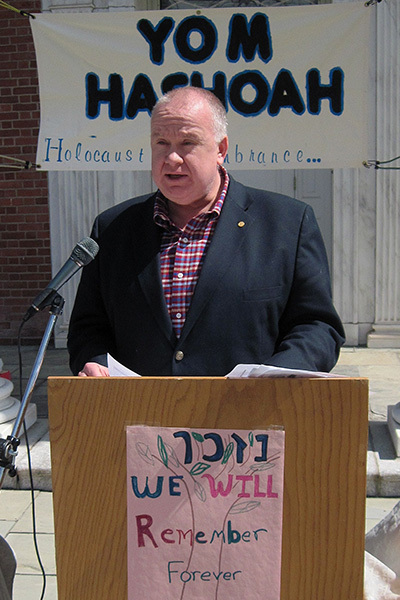 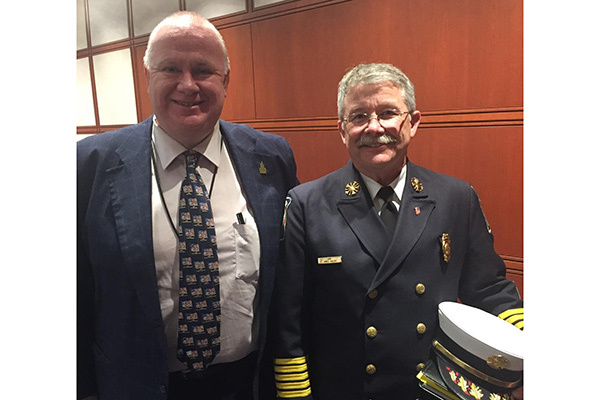 Rep. Hampton participates in Simsbury's observation of Holocaust Remembrance Day, “Yom Hashoah VeHagevurah” – literally the “Day of (remembrance) of the Holocaust and the Heroism. 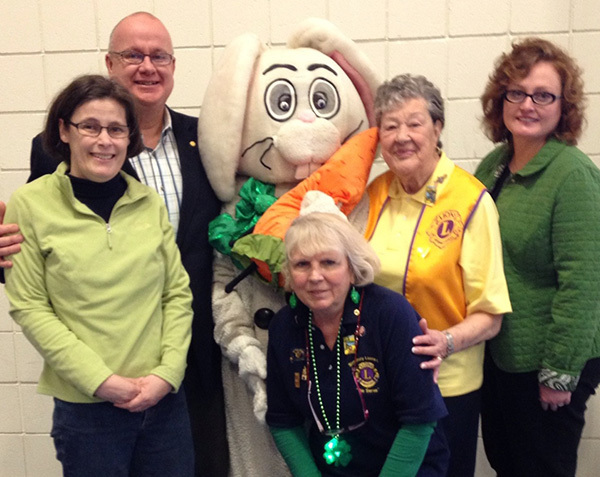 Rep. Hampton joins Deputy First Selecman Lisa Heavner and Selectman Shannon Knall at the 2013 Annual Lions Club & Knights of Columbus Pancake Breakfast. 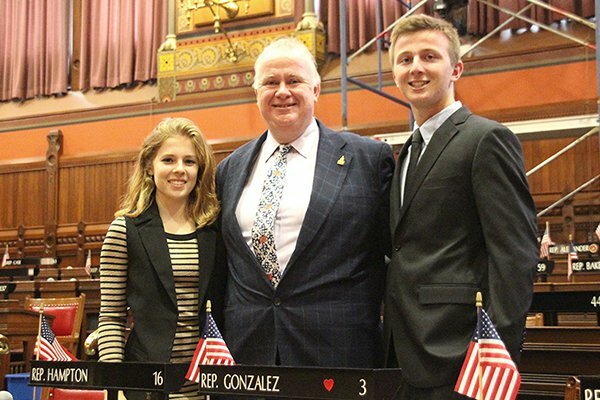 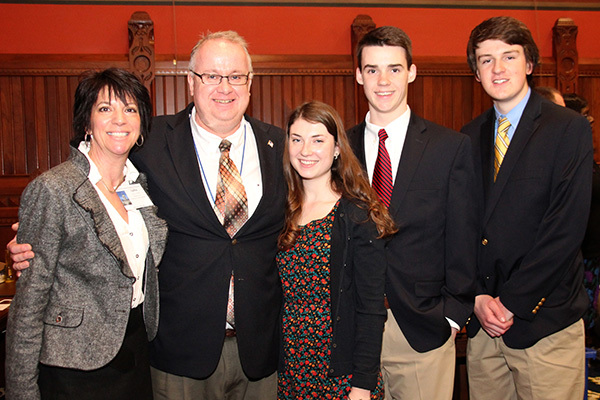 State Representative John Hampton welcomes Chairman of the Simsbury Board of Education Lydia Tedone and Simsbury High School students Kristen Regeneaur, Jakob Gattinger and Patrick Long to the State Capitol for the Connecticut Association of Boards of Education's (CABE) "A Day on the Hill." 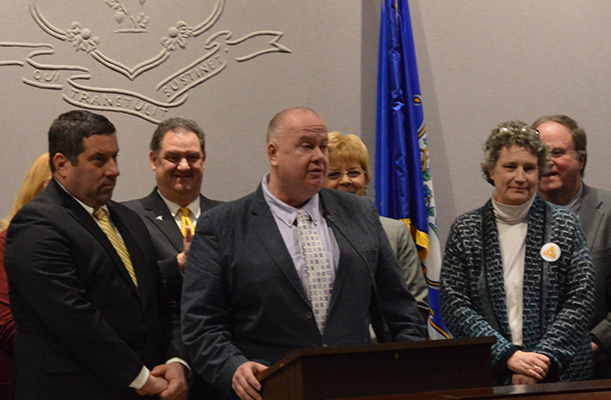 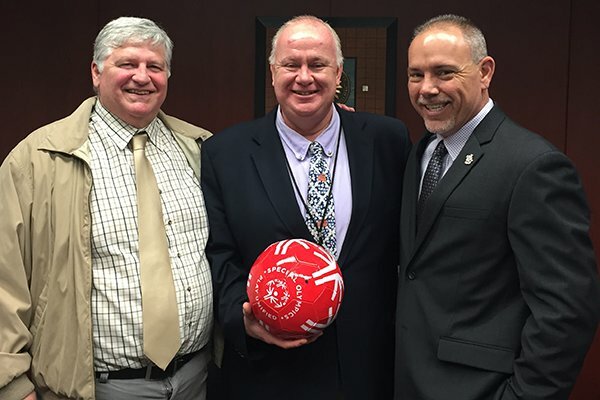 Rep. Hampton helps kick off the 2013 Special Olympics Winter Games in Simsbury with State Senator Kevin Witkos, Deputy First Selectman Lisa Heavner and Selectman Shannon Knall. 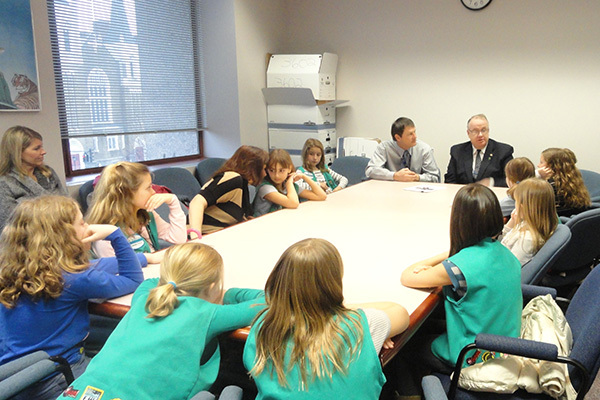 Representative Hampton and Senator Witkos (R-8th District) met with Girl Scouts from Simsbury and became members of the newly created CT General Assembly Troup. 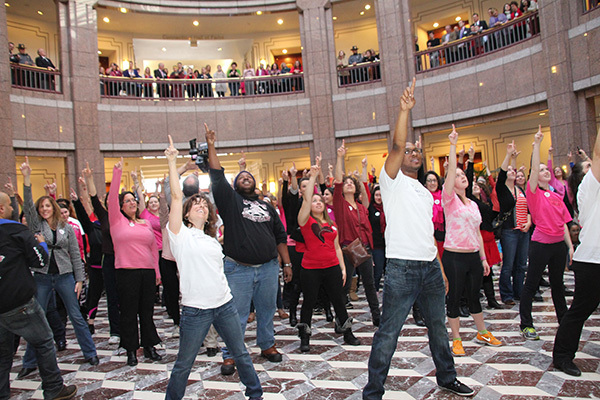 Representative Hampton's niece, Bridget Hampton, was one of the participants in the flash mob at the Capitol on Valentine's Day 2013 to bring more attention to violence against women and issues of domestic abuse. 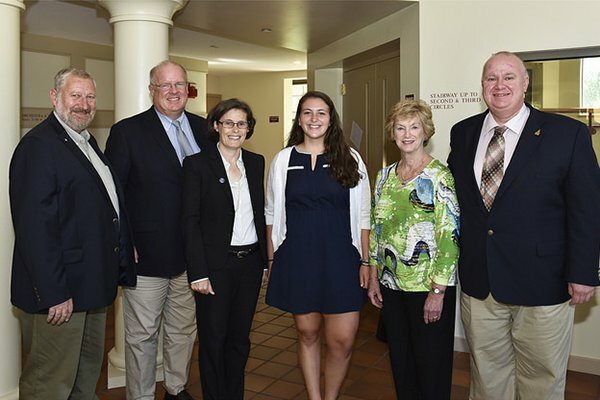 Bridget lives in Farmington, Connecticut and is a Senior at Miss Porter's School. 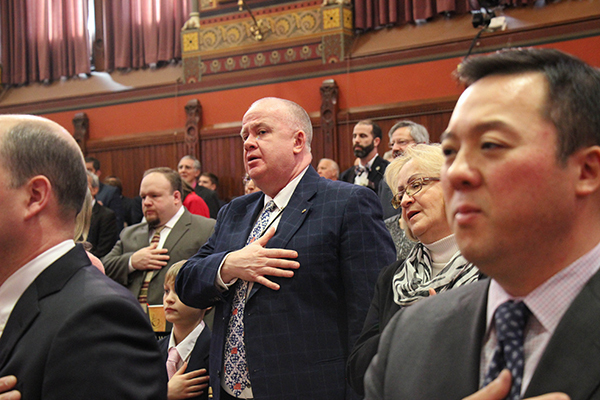 Opening Day of the 2013 Legislative Session.